The head-mounted display (HMD) has been an object of technological desire since at least the late 1980s, where popular futurist tale “Back to the Future 2” showed us a future involving head-mounted televisions at the dinner table. But the current crop of HMDs has a bit of a problem, reports suggest, and that might be one that Contrast Optical has taken care of with the optical work done on the IMMY NEO system. 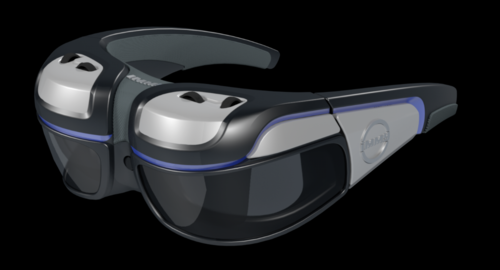 The IMMY NEO system—a breed of HMD both built and sold by the IMMY Inc company from Troy, Michigan—may actually represent one of the most advanced HMDs around. Thanks to Contrast Optical's work, the IMMY NEO reportedly has something that not even Oculus Rift can offer: the Natural Eye Optic (NEO) system. NEO, here, is a mechanism that replicates human vision, which means a more comfortable viewing experience as it approximates the eye, rather than forcing viewers' vision to accommodate the HMD system's presentation. With NEO, Contrast Optical can offer a 60 degree field of view for each eye, meaning that there can be a complete field of view of 60 degrees with 100 percent 3D overlap, or it can create a non-stereo field of view measuring as much as 120 degrees. The system can support up to 30X magnification, and combines a design known as “air-and-mirror”—which is without solid lenses—to produce a small, light system that should make for easy wear. This is said to represent a major improvement over other such designs in the field; the field of view in other devices is said to be less than impressive, which provides a lot of space not utilized around the central field of vision. That means a lot of head movement is required to get a full sense of the environment, which can distract from the overall experience. Resolution also can suffer, particularly when it comes to movie content. But Contrast may have found the problem by looking at the optics, rather than the software or the processors. This led to the development of the previously mentioned air-and-mirrors design, a design that differs from previous all-reflective designs that offered smaller eyebox sizes and, perhaps worse, high distortion. With this version, viewers now get a better experience, and one that can't readily be offered by even larger competitors, reports suggest. This is a good example of what needs to be done in the field in order to survive in the HMD market. Recently we got word on how app developers were focusing efforts on devices released by trusted brands like Google or Epson, while startup breeds get the cold shoulder. This new technology was set to be fairly well dominated by established brands, likely because the technology itself was so new that few wanted to “take chances” on new brands. Thus, those new brands would need some clear superiority to make a market presence known, and IMMY may well have that in the NEO. Will this be enough to keep IMMY viable in the market? It certainly doesn't have the name recognition of its competitors, but it may have the technological edge needed. It's got quite a bit to offer, but only time will tell if it's got enough to offer to win out.